Located in the 8th District of Paris, the Arc de Triomphe is one of the most important monuments of French culture. In fact, Napoleon ordered its construction. Once you are there, you can appreciate a beautiful view of Paris. Why should you visit this monument? You should visit this monument for two reasons. The first one is that it is one of the most iconic monuments of French culture. Once you arrive in Paris, you cannot leave the city of lights without having a look at the Arc de Triomphe. In fact, it is one of the most iconic symbols of France and more specifically, to French military victories. Moreover, the location is great, especially if you have planned to visit the other emblematic monuments of France. In fact, the Arc de Triomphe is situated between the Louvre and Place de la Concorde. So, if you are a tourist walking on Champs-Elysées Avenue, we suggest that you admire this beautiful monument at the end of your trip. Napeleon was the one who decided to build this monument. In fact, the French Emperor wanted to extend his empire, especially after the Austerlitz battle. 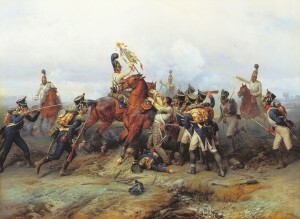 This conflict opposed the French, Russian and Austrian troops during the Napoleonic Wars. As a symbol of his accomplishment, Napoleon commissioned Jean François Thérèse Chalgrin (a French architect) to design a monument that represents its remarkable armed forces called the Grande Armée. This monument remains one of the most glorious emblems of Napoleon’s victories. 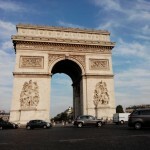 Once you arrive at the Arc de Triomphe, you will be able to discover this giant monument and its architectural secrets. 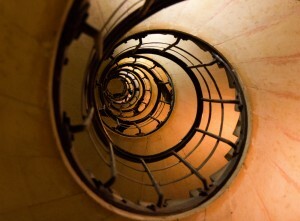 You can climb to the top and admire a wonderful view of Paris. If you are not interested in climbing, other activities are available. If you look inside the arch, you can see the names of the several generals of the French army. Some details within the arch reminds you of the face of Napoleon. The tomb of a WWI soldier has been under the arch of the Arc de Triomphe since 1921. Every evening at 6.30 PM, a ceremony is held under the arch to rekindle the flame of the tomb of the Unknown Soldier. This soldier is unknown but his tomb has been set up there in memory of all the soldiers killed during WWI. How to plan your visit? 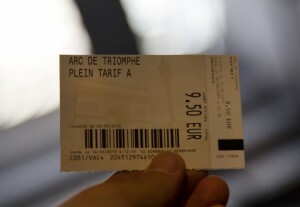 You have different ways to go to the Arc de Triomphe by train. Either you can take the metro (the train that circulates within Paris) or the RER (a commuter that serves Paris and its suburbs). 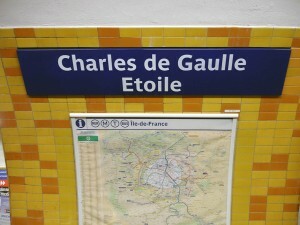 If you have planned to use the metro, you have to stop at the station, Charles de Gaulle Etoile. The following lines stop there: lines 1, 2 and 6. But if you are in Paris’ suburbs, you can take the RER A (which is indicated with a red line) and stop at the station, Charles de Gaulle Etoile. How can you buy your tickets?